Our philosophy is simple. We want you to remember how good it feels to take a bath. 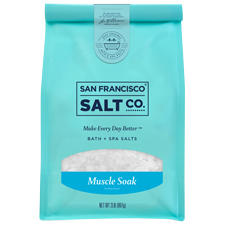 Our products harmonize the therapeutic power of bathing, aromatherapy and Epsom Salt to transform your bath into a healing ritual for your body and mind. SOOTHE ACHES & PAINS: Use Epsoak Sleep in a bath or foot bath to relieve muscle aches & pains and stiffness. The perfect evening bath after a stressful or demanding day. CLEANSE, SOFTEN & DETOXIFY SKIN: Soaking in Epsoak Sleep helps to cleanse pores, soften skin and remove toxins from the skin and body. 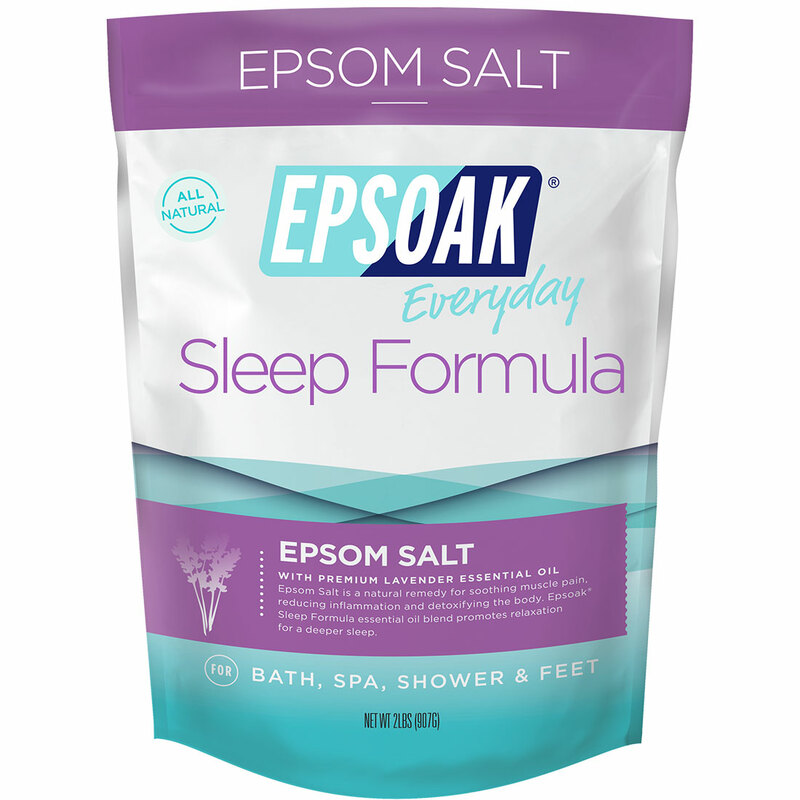 FOR A BETTER NIGHT'S SLEEP: Sleep Formula is made with Epsoak EpsomSalt and premium Lavender essential oil to ease stress and encourage deep relaxation for a better night's sleep so you can awaken the next morning feeling well rested, rejuvenated and ready to take on the new day. CALMING MAGNESIUM: Magnesium has been known to ease stress, improve sleep, and boost concentration. 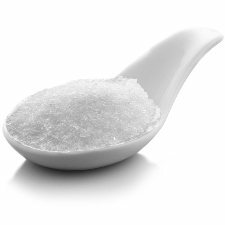 This mineral also helps muscles and nerves function properly and regulates the activity of over 300 enzymes. DETOXIFYING SUFLATES: Sulfates are known to flush toxins, improve absorption of nutrients, and help form joint proteins.